So you’ve got a week off and no plans for Spring Break? Time for a road trip! A road trip is the perfect spontaneous Spring Break getaway - you get to plan exactly what you want to do, can decide how close or far you want to travel, and can customize the budget based on your personal needs! While a road trip naturally feels like an impromptu adventure, you’ll want to be prepared. Check out these tips to help you plan your ultimate Spring Break road trip! While it sounds like fun to just get into your car and drive off into the sunset, you probably only have a week before you have to be back in the office or classroom. Without a route planned, you could end up lost or stranded. Maybe worse, you might just not see or do anything cool on your trip! There are plenty of websites to help you find inspiration for a trip, and some even have pre-planned routes. To make your trip unique to you, try Roadtrippers.com or Furkot.com - sites that let you enter in your beginning, end, and stops along the way, automatically creating the most efficient route! These sites can also help you find attractions, lodging, and points of interest along the way! Along The Way is an iPhone app that essentially does the same on the road, helping allowing you to locate everything from restaurants and coffee shops to parks and shopping along the route you’re travelling. Vacations don’t have to be costly - but it helps to plan ahead to estimate exactly what you’ll be spending. Decide what your budget is and approximately how much you’ll want to spend on food, lodging, and entertainment. The beauty of the road trip is in getting to decide how much - or how little - you want to spend on these things. Some of the trip planning sites can help you find lodging along the way. We’ve all heard of Hotels.com, Kayak, and Expedia but you can also check freecampsites.net for free and inexpensive camping options, or live like the locals with Airbnb! Check websites of museums, zoos and aquariums, performance venues, etc. to know what a visit will cost, and perhaps even learn about ways to get discounts. We all know the one expense there’s no real way to cut corners on: gasoline. However, it’s still vital to prepare for the cost. Gasbuddy.com, city-data.com, and fueleconomy.gov can help estimate what gas will cost you for your entire trip. GasBuddy even offers an app that will help you locate the best gas prices in the area! Looking for extra ways to save money? Pack a loaf of bread and some peanut butter for scenic picnic lunches instead of eating out every day. If you have a tent - or a friend who’ll let you borrow one - toss it in the trunk and embrace life on the open road by sleeping under the stars (but be sure you’re allowed to camp where you’ve stopped - or find a designated campground). One of the key factors of a road trip can also be its greatest downfall, if not properly planned for. Whether you’re alone or with friends, it’s likely there will come a point when the vast distance between you and your next destination seems like too much to bear. Be sure you have ways to entertain yourself and your travelling companions on the road. Bring a book to read, or an activity book to help keep your brain stimulated. From crosswords to coloring, there’s plenty to keep your hands and mind occupied in the passenger seat. If you have a group of friends or family with you, a book of mad libs could keep you laughing for hours. For the artsy traveller, embrace the beauty of your surroundings. Bring a camera to document the trip, or even create your next masterpiece by sketching what you see out the window. When travelling with kids or students, bring the books! A long stretch of highway is a place to catch up on studying or start the paper that’s due when you return from break! Music apps are an obvious necessity, unless you want to spend the drive searching through unfamiliar stations. Keep your favorite station with you wherever you go with apps like iHeart Radio and TuneIn Radio. Receive playlists customized to your musical tastes with Pandora, or create your own playlist with Spotify. Sometimes you just need to be back on the grid for a moment. 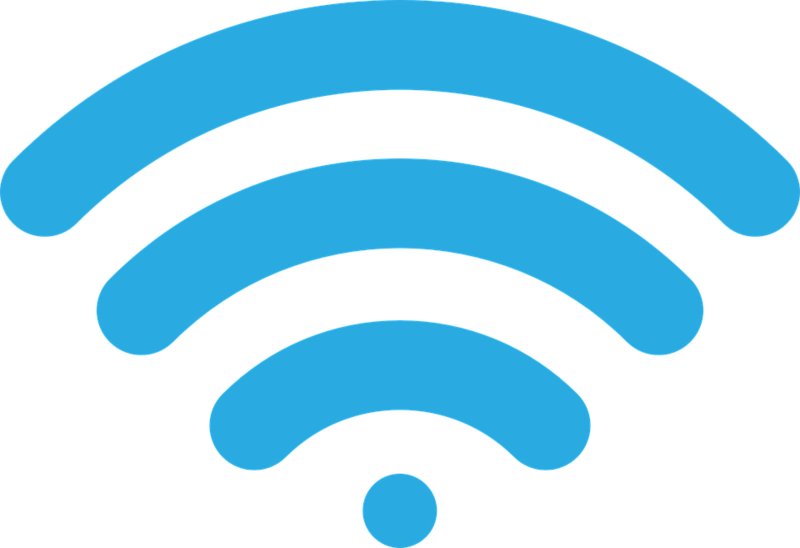 Whether to email your parents or binge on Netflix, the Wifi Finder app will help you locate both free and paid points of wifi internet access. Be prepared for whatever might happen on the road. Always have an extra change of clothes (and underwear!) or two, a swimsuit in case you find water, some snacks, and a reusable water bottle - bonus points if you keep gallons of water in the car! Have some cash hidden somewhere in the car just in case you lose your wallet, or pull up to the only gas station for 50 miles and their card reader is broken. It’s also great to have a credit card in case of emergency or unexpected expenses. Remember to pack any medicines you take regularly. Keep your insurance card with you, and if possible, a list of pertinent medical information with it - your blood type, allergies, and any pre-existing medical conditions that would be useful for doctors or your travelling companions to know in case of an accident or illness. Finally, know what to do if your most vital road trip buddy - your car - breaks down. If you hit a bump in the road trip, the Urgently app will get you back on your way. With support across America, Urgently offers roadside assistance and towing services for a flat rate - no membership required! Search for assistance nearby and watch your help arrive in real time, then pay when service is complete - all on the app! So now that you’re prepared for the road ahead, what’re you still doing here? The world awaits; hit the road!